We provide a comprehensive and engaging mathematics programme which follows the current Statutory Orders of the National Curriculum whilst also promoting the individual needs of our pupils. Pupils embed the 'non-negotiable' building blocks for maths as early as possible. Fluency, problem solving and reasoning are encouraged at all levels. The four operations (addition, subtraction, multiplication and division) are taught incrementally so that a coherent approach is adopted throughout the school. The steps we use are detailed in our Calculation Policy. We acknowledge, however, the pupils all have preferred methods and make apparatus available in every classroom so that the pupils can access it to help themselves when and where they feel the need. In Key Stage 1 we focus on number bonds, times tables knowledge and problem solving. 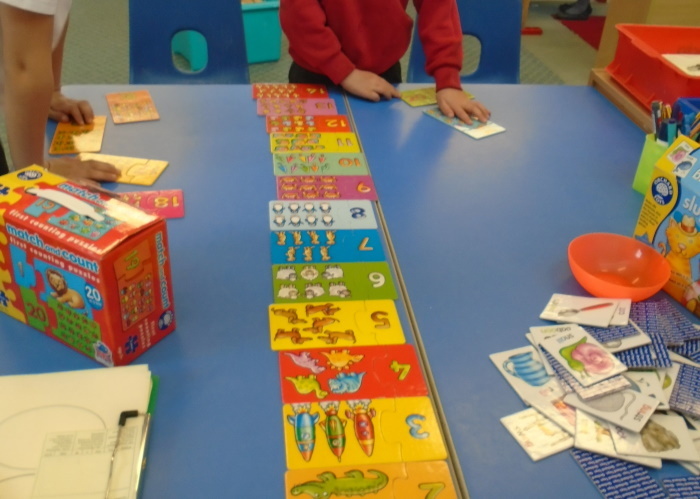 Pupils develop confidence with our number system, learn about shapes, and use a variety of measures including length, mass, volume, time and money. In Key Stage 2 we show our pupils how they can apply their existing knowledge to bigger (or smaller) or more difficult problems. We teach number and place value, the four operations, fractions, measures, geometry and statistics in progressive steps. The more complicated elements, such as percentages, ratio and simple algebra are taught in upper Key Stage 2, once the mathematical building blocks are secure. Across the whole school we use Mathletics to reinforce topics taught in class and to encourage fluency. In 2016/17, our primary focus was maths and we made a significant investment to refresh our mathematics curriculum in line with the new National Curriculum. This included working closely with our Maths Adviser and purchasing practical maths resources for all classrooms. We are grateful to the Thomas McGregor Foundation for their donation towards this. In 2018/19, maths is one of our key priorities.